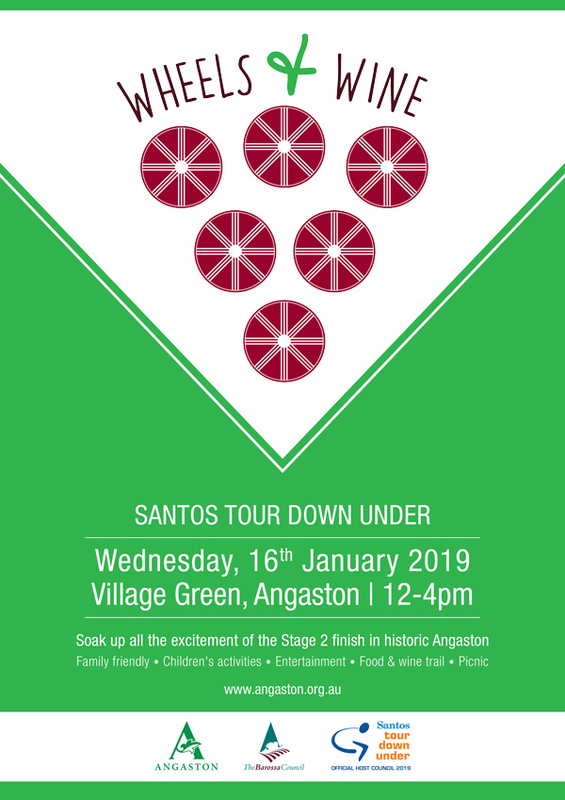 The Santos Tour Down Under returns to Angaston in 2019 with two laps of the Stage 2 Santos Women’s Tour Down Under, and the Stage 2 Finish of the Men’s Tour Down Under in our tree lined town centre. The map below has some suggested vantage points and parking in Angaston so you can plan your Tour Down Under viewing and get amongst the excitement. 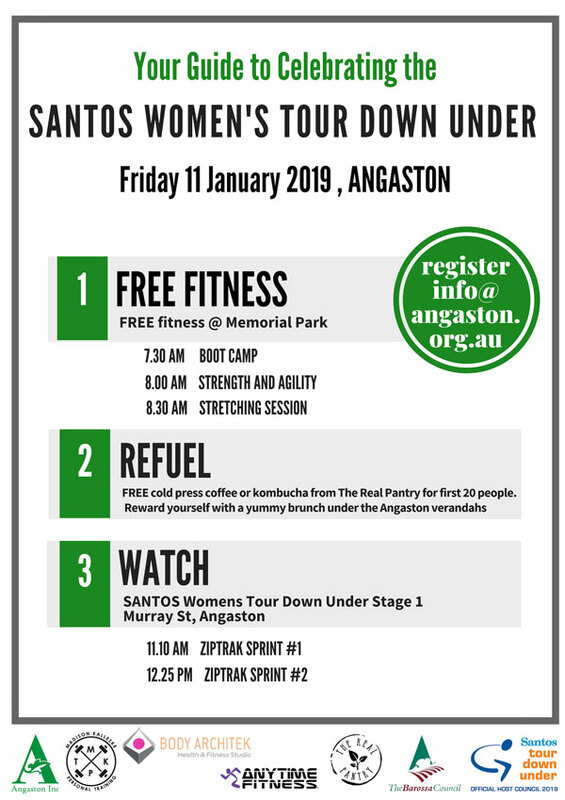 Celebrate the inclusion of Angaston in the Santos Women’s Tour Down Under. Enjoy FREE Fitness activities provided by local trainers, then Refuel with FREE cold pressed coffee or kombucha from The Real Pantry, or brunch at one of our local cafes. Then watch the best female cyclists in the world under a verandah along the Angaston Main Street. Explore the Barossa’s thriving wine and food scene in historic Angaston. Follow the wine and food trail and gather local produce for a picnic on the Village Green before soaking up all the excitement of the Stage 2 men’s finish in the town centre. Bring the family along and enjoy the atmosphere against the backdrop of beautiful regional, wine, food, culture, heritage and community.